Over the past two days I’ve played roughly 10 hours of Destiny 2, a video game in which players travel through space, marveling at how things can feel so familiar and yet so new. For starters, there are real stakes. Destiny 2 opens with the destruction of the Tower, our central hub for the past three years, at the hands of a nasty Cabal commander named Ghaul, who drains your main character of his or her powers and sends you flying off a cliff. In a powerful, humbling sequence afterwards, you stumble around the neighboring Last City while trying to regain your lost abilities. Soon you’ll run into Suraya Hawthorne, a nomadic sniper and member of Destiny 2’s excellent cast of new characters, and eventually you’ll find yourself roaming through the game’s first map, the European Dead Zone. This is where Destiny 2’s unique world structure comes into play, and it’s one of the greatest changes Bungie has made. 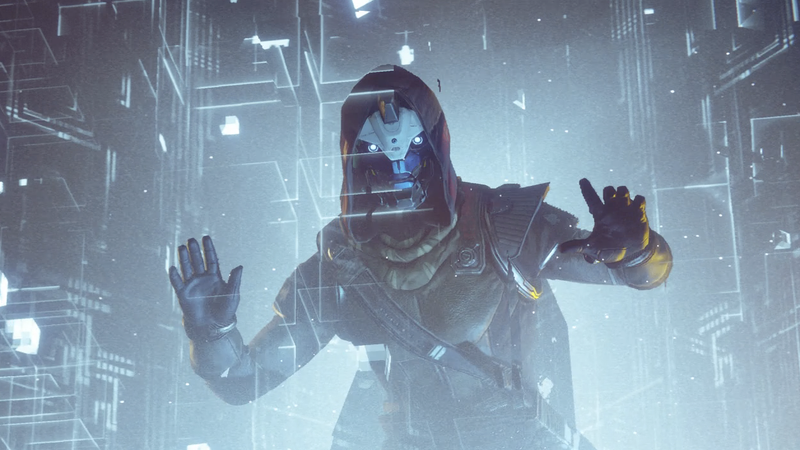 Rather than selecting a mission, zooming back to orbit, and then selecting another mission as you did in the first game, Destiny 2 lets you conduct all of your work from the field. To access each story mission, you’ll have to land at a planet’s loadout zone, track the point where that mission starts, and then walk over. Along the way, you might run into a public event and work with a group of players to take down a Fallen gang that’s trying to dig up currency from the land. Or you might decide to go do an optional “adventure” that’s sort of like a beefed up version of Destiny 1’s patrols, complete with proper stories and multiple phases. Destiny 2's map is full of potential and possibilities. This structure makes Destiny 2 feel less like a series of disjointed missions and more like an open-world game, with four massive zones that appear, at least from my limited exploration, to be full of interesting treasure hunts and activities. I haven’t yet reached any of Destiny 2’s strikes or “Lost Sectors,” but I’m stoked to see what else is out there. None of these new structural improvements would work if not for the way Destiny 2 feels to play, which, I’m pleased to report, is just as spectacular as Destiny 1. Shooting aliens is just as punchy and satisfying as it ever was. Bungie has curbed the efficacy of shotguns and sniper rifles thanks to a new gear system that groups them with rocket launchers, fusion rifles, grenade launchers, and other limited “power” weapons. You can’t arm yourself with more than one power weapon, so, unlike in the first game, you can’t quickly swap from hand cannon to sniper rifle to rocket launcher. This time, you’ll switch between two primary weapons (auto rifles, pulse rifles, scout rifles, hand cannons) and one special one. From what I’ve seen so far, this system is fine. Ammo is more plentiful than it was in Destiny 2’s beta, and your special abilities recharge more quickly, too. One thing Bungie has never gotten enough credit for is the diversity of Destiny’s characters, who are not just white dudes and robots but instead show a wide range of personalities and ethnicities. Destiny 2 looks incredible. All four maps are full of stunning vistas and beautiful skies, and unsaddled by last-gen hardware, Destiny 2 has some incredible graphical wizardry. The music, composed by a handful of musicians including Bungie veterans Michael Salvatori and C. Paul Johnson, is shockingly good. There are still lots of little annoyances to complain about, and I have no doubt that I’ll find more over time. You still can’t dismantle loot while in the vault screen, for example. Inventory management is still a pain. You’ll often see the Ghost icon pop up in the top right corner, indicating that there’s something nearby to scan for some good lore details, but the game doesn’t do a good job of telling you how to find it, and often it appears in the middle of heavy firefights. I haven’t yet run into anything in Destiny 2 that feels monotonous or grindy, though after three years and 600 hours of Destiny, I’m dreading the thought of this game’s version of the exotic sword quest. I already felt tinges of PTSD after running into Destiny 2’s material deposits, having wasted dozens of hours of my life farming for Spinmetal and Spirit Bloom. But so far, so good. Bungie has made something impressive, and I can’t wait to see what else is coming.